If you have studded tires on your car, you need to get them off today if you plan to drive in Washington. Without getting a ticket, that is. Today is the deadline in Washington to have studs removed, and law enforcement officers won't take it easy on you because you commute between the two states. Not everyone is happy about improvements to Fernan Lake Road this year. Some people in the area are worried about the construction's impact on their properties and worry that wider curves and better line of sight will just encourage speeding speeding. The main complaint of others is the loss of trees close to the road. Here's the story from the Coeur d'Alene Press. As the House prepares to consider amendments to a bill to raise the gas tax just 2 cents next year, Gov. Butch Otter said he’s not reached any deal with House leadership on transportation. Congratulations to Citylink! The public transportation provider has been selected as a recipient of the 2008 Federal Transit Administration Annual Award for Success in Enhancing Ridership. The purpose of the award is to recognize the Nation’s top transit providers who truly make a difference in their communities. Citylink was selected based on their excellent ridership gains and the 'broad transferability of initiatives to other transit agencies' (no, I'm not sure what that means either). I've seen people do a lot of weird things in their cars, including put on makeup, shave, eat cereal (or maybe it was soup), smack the kids in the backseat, and talk text or dial the phone. But I saw something yesterday that scared the heck out of me. A lady was blowing up balloons, and tying them, while driving on the freeway. What the heck?? I thought maybe it was just one balloon, but I noticed she had the back seat full of balloons so I paced her to see if she would blow up more. And she did. Just kept blowing them up, tying them, and throwing them in the backseat. Hmmm... talk about multi-tasking. 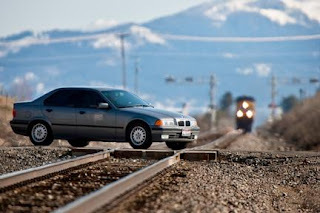 I'm always shocked that people still are not stopping for trains. An emphasis patrol from the state line to the Chilco area yesterday tallied 130 driver stops. 130!!! Here's more. Have questions about Idaho's rural public transportation system and funding plans for 2010? The Idaho Transportation Department is hosting meetings across the state in April, including next week in Coeur d'Aleen. 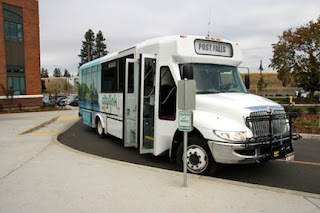 ITD's Division of Public Transportation will host a meeting from 4-6 p.m. next Tuesday, March 31 at ITD (600 W. Prairie in Coeur d'Alene) so that Idahoans may meet their rural transportation providers and comment on service-plan grant requests for the coming year. Call 1-800-527-7985 or e-mail for more information or if you have questions. There's only a few days left to get your studded tires removed in Washington. The deadline is March 31st. And while you can keep your studded tires on longer in Idaho, you can't drive into Washington with them on (unless you want a ticket, that is). The fine if you get caught is $124. In Idaho you have another month, until April 30th, to get your studs off. Over here, fines are $57 for driving with studded tires after the deadline. North Idaho lawmakers pushed approval of a highway bonding program through the joint budget committee this morning. Here are the details. 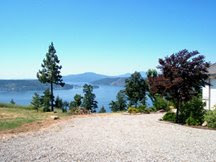 Coeur d'Alene has a new blog. 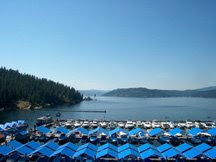 The “City of Coeur d’Alene Today” blog was just launched this morning. It will be used to post routine information such as hearing schedules, bid reports, community events, and links to more information on timely topics. In emergency situations, the blog will be used to inform citizens about snow events/closures, Amber Alerts, and Police updates. Although several Coeur d'Alene city departments have public information officers, the city doesn’t have one person solely dedicated to that function. So last fall the Public Information Enhancement (PIE) Committee was formed to focus on getting more information to citizens directly and accurately. After reviewing communications methods used by the city – CdA Channel 19, newspaper and other print media, television and radio – it was suggested to add a blog as a way to improve communications without adding the cost of additional staff. So here it is, go visit Coeur d'Alene's new blog and let us know what you think of it. Just got this email from Andrew Murphy of Citylink: The KMPO Transportation sub-committee is pleased to announce that the first of Citylink’s new bus stop benches is finished. The bench was manufactured by local craftsmen right here in North Idaho, and will be available in a variety of colour schemes. Five year bench sponsorships will be available to local businesses or individuals who may be interested in supporting these public amenities. Although advertising will be prohibited on the new Citylink benches, successful sponsors will be able to have their name engraved on a nice plaque on the bench back. The sample bench is mobile, and will be viewable throughout the Citylink system over the next few weeks. 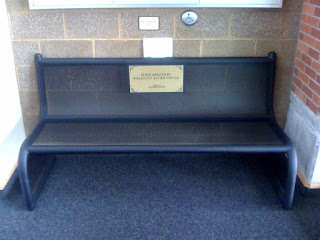 The bench can currently be viewed in the foyer of the new Post Falls Town Hall. Subject to municipal review, it is hoped to install a bench at each of the 90 Citylink bus stops starting in April 2009. Prospective sponsors are encouraged to contact the sub-committee chairman Craig Wilcox at (208) 667-1212 for further information. The world's cheapest car has just been launched in India. 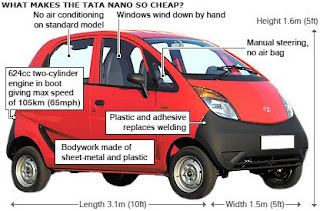 Costing just $1,979, the 'Tata Nano' is in limited supply right now. A lottery will determine who gets to buy the 100,000 existing cars. Here's more about the tiny car. If you drive US95 through Coeur d'Alene and Hayden, you know it can raise your blood pressure. Well, we did a study on it last year, and not everyone is happy with the recommendations that came out of it. Here's an article the Spokesman ran today. And if you want to view all of the recommendations, so you understand the entire scope of the plan (which I highly recommend), Here's a link to the study report. If you're not at work yet, take it easy on the roads. It looks beautiful and sunny out there but it's slick as... well, you know. Jeff just got into the office and he said he saw people spinning out on the freeway on-ramps in Post Falls, and I saw a couple slide-offs along the freeway on my way in. Sigh... I thought it's supposed to be spring? What's Your Stand On Otter's Plan? The Spokesman-Review's 'Huckleberries' blog is taking an informal poll on whether you support Gov. Otter's plan to increase transportation revenue by raising vehicle registration fees and the gas tax? Here's a link to submit your vote. And let us know if you're one of the people who chooses the 'Hell No' response option and why. The National Center for Safe Routes to School has completed a three-year progress report mapping the growth of SRTS throughout the nation. The report includes case studies and updates on current state and national initiatives in support of communities building Safe Routes to School programs. Here's a link to the report. And yes, this time I did make sure the entire report is there. A row between Senate Transportation Committee Chairman John McGee and Idaho Transportation Department Director Pam Lowe is getting ugly. McGee, R-Caldwell, unveiled a bill Tuesday to give Otter the authority to oust Lowe. Here's the dish from the Idaho Statesman. The question of placing benches at Citylink bus stops goes before the Coeur d'Alene City Council tonight. 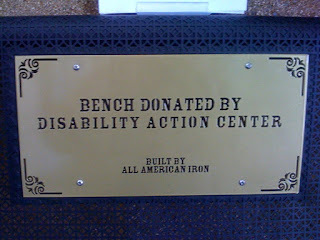 If approved, donors will be able to 'sponsor' a bench and have their name engraved on a plaque on it. Here's the latest. Gov. Butch Otter has revised his transportation funding plan, asking for less money over a shorter time frame. Here are the details. Wondering how Idaho has encourages and supports non-motorized transportation? A new report published by the National Conference of State Legislators shows how state legislatures have proactively supported bicycling and walking as transportation choices. Here's a link to the National Conference of State Legislators website and that report. Did you know the Centennial Trail has roots going as far back as 1907 in our area? I didn't. And there's a lot of other informatin in this Spokesman article about the trail that I also didn't know. Traffic Jams Can Cause Heart Attacks? Stuck in traffic? Take it easy, your chance of suffering a heart attack just increased significantly. A new study out of Germany has uncovered evidence that getting stuck in traffic makes you much more likely to have a heart attack within an hour's time. Yikes, that means I'm prime for one right now after sitting through that mess on the freeway this morning! Here's an article on the study results. Some business owners have become concerned about proposed changes to the US95corridor through Coeur d’Alene, due to rumors and inaccurate information. Last year, we conducted a US95 Access Management Study from I-90 through Hayden to find ways to reduce delays and improve safety and mobility. Business owners near the Bosanko and Canfield intersections have been hearing rumors saying access off the highway to businesses at these intersections will be eliminated. That is incorrect. While the study does recommend changes to both intersections, access will still be provided. For example, while the removal of the traffic signals at Bosanko and Canfield are recommended, left turns off the highway will still be allowed at those intersections just as they are today. When leaving local businesses, drivers that currently turn left onto US95 would need to find another way to go north or southbound. Right turns both on and off the highway would still be permitted as they are today. The complete report of US95 Access Management Study recommendations is available here. Some Idaho lawmakers are bent out of shape over Gov. Butch Otter’s plan to boost road spending but cut education spending. Yesterday, Otter detailed his plans for spending more than $1.2 billion in federal economic stimulus money, which includes increasing taxes for roads, spending stimulus money for roads, and borrowing for roads- all while cutting education funding. Here are the details. What's your take on this? Does Otter have the right idea to improve infrastructure, or is he putting too much into roads at the expense of education? For any of you agency people who read this blog, I just got this info: the Safe Routes to Schools grant program is open in Idaho and the application deadline of March 31 is coming up fast. Application info is available here so get on it, time is running out. This is your last chance to take the KMPO Non-Motorized Plan survey if you haven't already. And pass it on to your friends to take as well. The survey is only open through 5 p.m. tomorrow. We're asking people who live or use the transportation system in North Idaho to take this survey on how you would like to see Kootenai County's bicycle and pedestrian system developed. The survey results will help to identify policies, goals, and projects to include in a regional County Non-Motorized Plan. To take the survey, click here, then hit the link at the top of the KMPO home page. You do not have to be a Kootenai County resident to take this survey. If you don't have plans for this Saturday morning, March 14, maybe you should do your civic duty and attend Coeur d’Alene's Town Hall Meeting. It's from 8:30-10:00a.m. in the Public Library’s Community Room, 702 E. Front Avenue. Senator John Goedde, Senator Jim Hammond, and Representative George Sayler will be available to talk about and answer questions regarding this year’s legislative session. Other legislators have been invited as well. Everyone is welcome and the event will be broadcast on CdA TV Channel 19. For more information, please call 769-2204. An editorial in the Spokesman-Review today criticizes the Army Corps of Engineers for taking their time getting a project going to widen US95 from Garwood to Sagle. Our Non-Motorized Plan survey got a mention in today's 'Getting There' column. And this is your last week to take the survey, so if you haven't already PLEASE DO SO! Here's a link to the KMPO website. A link to the survey is in the upper right hand corner. I've told you a couple times lately about a move to put business or group-sponsored benches at Citylink bus stops, and now the Spokesman-Review has picked up on it.Here's a story that ran this weekend in the Spokesman. List Of Stimulus Requests Posted- And It's 23 Pages Long! Everyone wants something from the stimulus package. From school districts asking for money for repairs and renovations, to private companies looking to fund bio mass projects, and even a citizen asking for many thousands of dollars to pay off credit cards, people and groups are coming out of the woodwork trying to claim stimulus money. Governor Butch Otter released a 23-page list of all the requests for federal economic stimulus money today. It includes requests from individuals, private companies, charities, local governments, school districts, state agencies and more. Here's the link to see what's being asked for. If you made a request, the governor says a separate state Web site will be set up soon so you can track stimulus funding and see if your project will get any money. The 'Bus Bench Subcommittee' of KMPO's Public Transportation Roundtable is finalizing a proposed agreement for area city councils. It's looking like very soon groups and businesses will be able to 'sponsor' a bench for around $450. Each bench will have a plaque on it identifying the sponsor. The subcommittee expects to have a display bench constructed soon to take on a 'road show.' The benchs' first public appearance will be in front of the Coeur d'Alene Public Works Committee on Monday. After that, the subcommittee is hoping to leave it inside the Coeur d'Alene library over the weekend for people to 'get the feel' of it. Then it's anyone's guess where the bench will be. The idea is to move it around the county for all to see, much like a stolen garden gnome. Anyway, keep your eye out for 'the bench' and start saving your money. You too could have a bench with your name on it. Millions of dollars in road projects were approved by the Idaho Transportation Board yesterday for funding from the federal economic stimulus package. The next step is for the list to go to Gov. Butch Otter. Here's more from the Spokesman-Review. A reminder that if you're free tonight, you should stop by Coeur d'Alene's City Hall Council Chambers to find out about the 4th Street reconstruction project that starts later this spring. 4th Street will be reconstructed from the alley north of Lakeside Avenue to Harrison Avenue. The project includes removal and replacement of all paving, sidewalks, street trees, curbing, reconstruction of the storm sewer system, and upgrades to water facilities. An open house meeting will be held from 4-7 p.m. tonight so you can talk to the project engineers and ask questions. A reminder to take the KMPO Non-Motorized Transportation Plan survey. We want to know your vision for a bicycle and pedestrian system in Kootenai County. Results from the quick survey will be used to develop a region-wide Non-Motorized Transportation Plan. It will identify policies, goals and projects, and opportunities to provide facilities like pathways, sidewalks, and bike parking. Citylink has just released their latest ridership numbers, and they show that boardings were up by almost 10,000 in February, compared to the same month a year ago! You can see the latest numbers here. AAA Idaho is speaking out against three bills under consideration by the House Transportation Committee that would raise vehicle registration fees to pay for road and bridge repairs. HB98, proposed by Governor Otter, would increase registration fees each year for five years, from 109% to 179% for cars under 8,000 pounds. But the bill requires just a single flat 5% increase for every truck over 60,000 pounds. Two other bills, HB148 and HB149, would raise registration fees on cars up to 8,000 pounds for one year. AAA Idaho says all three of the bills are at odds with a recent Idaho Transportation Department study that shows, as a group, trucks are underpaying their share of transportation revenues for Idaho roads, 19%. "We have been telling the governor, lawmakers and anyone else who will listen that everyone who uses Idaho roads should contribute proportionately to their upkeep and maintenance," said AAA Idaho President Jim Manion in a press release yesterday. According to HB98's fiscal note, cars and light trucks, which now pay about 51% of all registration fees, will end up paying an additional $57 million, more than doubling their share of registration fee dollars. Idaho Congressman Walt Minnick is pushing to get work sped up on the giant Garwood to Sagle construction project on Highway 95 in North Idaho, and recently expressed frustration at the speed the Army Corps of Engineers is working at. Here's the story. The City of Coeur d’Alene has free street trees for seven new subdivisions. The trees are available for planting within the rights-of-way of Sunshine Meadows, The Landings at Waterford, Ramsey Meadows, Copper Ridge, Jae’s Place, Echo Glenn, and Prospector Ridge. There are a limited number of trees and they will be distributed on a first-come, first-served basis. Funding for the trees came from a street tree fee collected on residential building permits. The residential street tree fees can be refunded to builders or new homeowners who plant a street tree upon completion of a new home. Six months after the completion of a home, unclaimed funds are forfeited to the City. The City is now using these forfeited funds to purchase and plant trees in the same neighborhoods where the fees originated. For more informtion, call Urban Forestry at 769-2266 or 415-0415. Lakes Highway District is making some changes. In an effort to keep the public better informed, the District recently launched a new website. It's pretty cool too, and includes information on District studies, meeting agendas and minutes, road closures, delays and more, so bookmark it if this is your area. Here's a link to the site.